Castilla y Leon, the largest of the autonomous regions of Spain, sits in the Northwest part of the country. This is one of the coldest areas in the country, although it’s still bright and sunny for most of the year. An old Castilian saying describes the weather as “nine months of winter and three months of hell,’ as the summer months can be unbearably hot. The fact that it’s a mountainous region helps to explain the low temperatures. The area takes its name from the castles built by the Christians to defend themselves against the Moors in the Eighth and Ninth centuries. Castilla y Leon, known as “The Land of the Castles,” has some 300 medieval castles, more than any other region in all of Europe. The romantic name suits the area well with its pretty medieval villages and its breathtakingly beautiful cities, such as Segovia and Salamanca. Castilla y Leon is steeped in history. Here, the Spanish language was born in the 11th century, developed from the Latin. It’s the land of El Cid, who was born near Burgos and resisted the might of the Moors. It’s the land of St. Teresa of Avila, the great 16th-century Christian mystic. And it’s the land of Ferdinand and Isabella, Spain’s iconic medieval monarchs. Castilla y Leon covers around 20% of Spain’s land mass, but its population of 2.5 million makes up only a bit more than 5% of the total of Spain’s inhabitants. The regional capital of Valladolid is the most densely populated area, with a population of 300,000, rather modest for a city of its generous size. 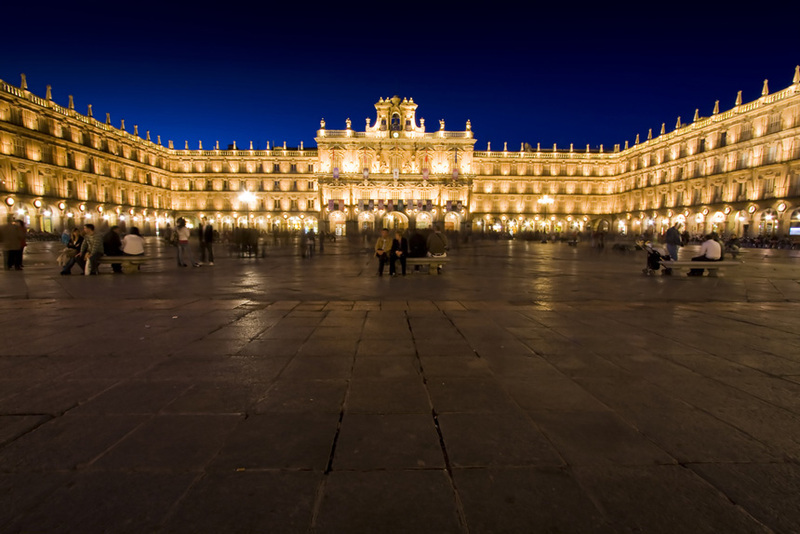 Spain is famous for its fiestas, and Castilla y Leon holds more fiestas than anywhere in Spain. There are numerous bull runs and bull fights, although not as many as in Murcia, where almost every town and village has some sort of fiesta associated with bulls. The Bull Carnival in Ciudad Rodrigo, Salamanca, is one of the most famous bull-running events in Spain. 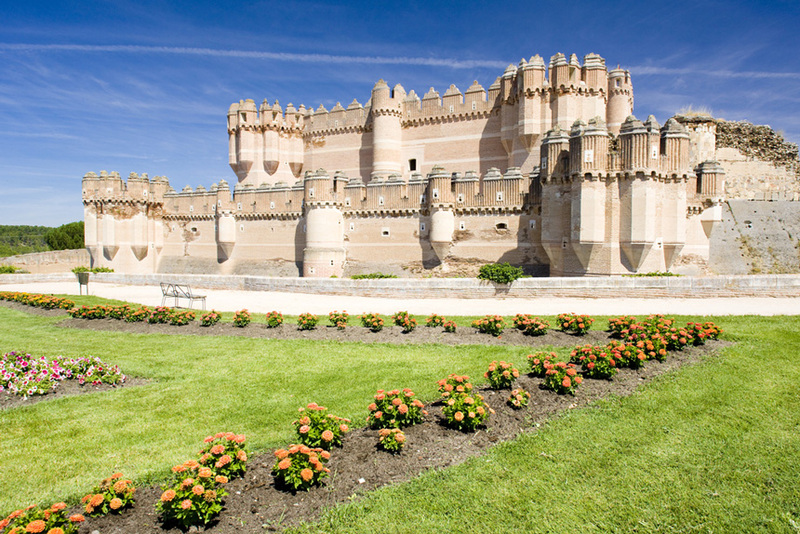 Castilla y Leon also hosts a number of pilgrimages, as well as jousts and re-enactments of the battles between Moors and Christians. It’s considered a great honour to represent El Cid, who was responsible for much of the resistance to the Moors in the region. There will be at least one fiesta every week somewhere in Castilla y Leon; they are far too numerous to mention here. Some 170,000 inhabitants of Castilla y Leon are non-Spanish. When converted to a percentage of the total population, the immigration rate in the region is about half the national average. Immigrants to this area tend to be younger than the indigenous population, and they are partial to the towns and cities rather than into rural areas. Because of the relatively small number of immigrants, Castilla y Leon remains intrinsically Spanish, with few international influences. House prices in Castilla y Leon are among the lowest in Spain. Even in the desirable cities of Valladolid and Segovia, average prices for a house are around €175,000. While there are the inevitable drug problems in the cities, crime is generally low in the region. Transport connections are good; the road network is particularly impressive, with no less than 14 motorways criss-crossing the region. An extensive rail network and airports at Valladolid, Burgos and Leon make Castilla y Leon easily accessible from the rest of Spain and Europe. Castilian Spanish is the main language of the region, and there are few dialects, as the form of Spanish spoken in the region is very pure. Leonese and Galician Spanish are also spoken in the outlying rural areas. Unemployment is the region is higher than the EU average at around 15.9%, youth unemployment is particularly high. Around 34% of those under the age of 24 are unemployed in the region, compared to the EU average of 21%. This may have implications for families with children of working age who plan a move to Castilla y Leon. 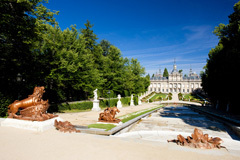 The region has four car manufacturing plants: Renault in Valladolid and Palencia, Fiat in Valladolid and Nissan in Avila. In addition, there are also about 1,000 information technology companies and 40,000 logistics companies. Therefore, there would seem to be numerous employment opportunities for those qualified in car manufacturing processes, IT and transport. About 67% of Castilla y Leon’s Gross Domestic Product comes from service industries, with industry, construction and agriculture also providing employment opportunities. The region has a number of large cities, so there should be openings in the retail sector, although it may be necessary to speak fluent Spanish to apply for these positions. For those who do speak Spanish, there are a number of Spanish language schools in the area that may offer job opportunities. Castilla y Leon is not an obvious location choice for most English speakers. Its people tend to be formal, austere and conservative, so integration – except in the more cosmopolitan Salamanca – maybe difficult. 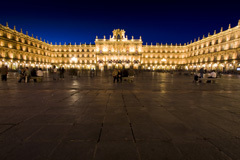 Salamanca is the home of Spain’s oldest university, and it offers more nightlife than other cities in the region. The region’s rural areas are very sparsely populated, and most people who live here are older, Spanish people. While people with a good grasp of Spanish and some knowledge of Spanish culture may settle down well in Castilla y Leon, many people may find the region intimidating. That said, for those moving to Spain to find peace and tranquillity, Castilla y Leon could turn out to be a real Spanish idyll. Food in Castilla y Leon concentrates on good quality meats, such as steak, lamb, suckling pig, local sausages and Iberico ham. Green vegetables are not so plentiful, although Avila is famous for its beans. The cuisine is a little like the people – conservative, with no frills – and vegetarians will find it even more difficult to follow their preferences than in the rest of Spain. 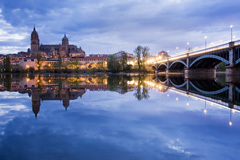 As a bonus, the region does produce some of the best wines in Spain, with the Ribera del Duero wines rivalling some of the best Riojas in quality and flavor. For those who really want to embrace the Spanish lifestyle and culture and are comfortable with leaving their former lives behind, Castilla y Leon can make a good choice. However, many people may find the lifestyle in the region difficult to adapt to. 1) The Moorish Alcazar (Palace) and the Roman aqueduct in Segovia. 3) Way of St James (Camino de Santiago), the pilgrimage route from the Pyrenees to Santiago de Compostela. 4) The city of Avila. 5) The town of Santo Domingo de Silos.